Street level detail showing the area of: Downtown Minneapolis, the University of Minnesota campus, and Downtown St. Paul. 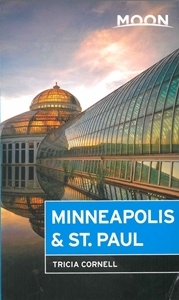 Also includes map of Central Twin Cities Metro Area. Map folds open to size: 25-3/8" x 10-1/4".